Water sports are increasing especially in elderly population sectors who have suffered some form of muscle or bone damage. Are you on holiday and need to hold fit and healthy? Swimia.com gives you the straightforward and quickest way to obtain pool near Canada. Looking for Chlorine Free Pools in Canada? Many of them belong to gyms or sport centres which also supply lessons. These are the Swimming Pools other users have reported. Are you a local and your pool isn't listed? Contact us to ADD IT. It is free of charge! 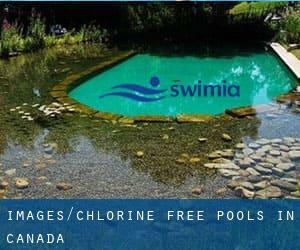 Swimia.com has one of the most up-to-date database about Chlorine Free Pools in Canada. There are typically discounts available to senior citizen and smaller children. Find out by contacting your nearest pool in Canada. It's difficult to visit Canada with no dropping by Toronto (with 4.612.191 residents). At present Swimia is showing you all the Pool in Toronto and the closest pools located in its vicinity. Holding an estimated population of 1.837.969, Vancouver is one of the most important cities in Canada. Check all of the Pool in Vancouver and its surrounding area. Without a shadow of a doubt, swimming in Calgary may be the ideal way to unwind immediately after work. Take a couple of minutes to browse Swimia's catalog to find a Swimming Pool in Calgary. Swimming is really a great idea to keep your body active during your visit to Montreal (Canada), or even should you be a local. Swimia helps you to discover your closest Swimming Pool in Montreal. Updated on 2019 450 Quebec St. , Victoria , BC (Postal Code: V8V 1W5). Swimmers like you reported 25 meters, 4 lanes, Non-Chlorine Sanitized, Indoors. Phone number and e-mail address are number for this Swimming Pool. Updated on 2019 837 West Hastings Street , Downtown , Vancouver , BC (Postal Code: V6C 1B6). This sports centre provides 25 meters, 5 lanes, Non-Chlorine Sanitized, Indoors. Contact facts for this Pool including phone number and email address are number. 4175 West 29th Ave. , Dunbar-Southlands , Vancouver , BC (Postal Code: V6S 1V6). Among all of the activities offered by the centre, in case you are interested in swimming you can enjoy 25 meters x 13 meters, 6 lanes, Salt Water, Non-Chlorine Sanitized, Indoors. Just in case you want to make contact with this Swimming Pool before dropping by, we only know the phone number. Updated on 2019 123 Queen St. West , Toronto , Toronto - Toronto / East York , ON (Postal Code: M5H 2M9). Swimmers like you reported 25 yards, 4 striped lanes, Salt Water, Non-Chlorine Sanitized, Indoors, Outdoors. Unfortunately we do not have the email address of this Swimming Pool, but we can provide you with the phone number. 2101 - 6th Ave. , Castlegar , BC (Postal Code: V1N 3B2). This sports centre delivers 25 meters x 12 meters, 6 lanes, Non-Chlorine Sanitized, Indoors. Contact information for this Pool similar to phone number and email address are number. 9009 Fairmount Dr. S.E. , Southeast , Calgary , AB (Postal Code: T2N 1N4). This sports centre delivers 25 meters, 6 lanes, Salt Water, Non-Chlorine Sanitized, Indoors. For this Swimming Pool, only phone number is number here. 26 Thomas Raddall Drive , Halifax , NS (Postal Code: B3S 0E2). Swimmers like you have reported 25 meters, 8 lanes, Non-Chlorine Sanitized, Indoors. Also, you will find 25 meters, Non-Chlorine Sanitized, Indoors. If you need to make contact with this Swimming Pool, email address and phone number are both number. 130 Brent Boulevard , Strathmore , AB (Postal Code: T1P 1W7). Swimmers like you reported 25 meters, 6 lanes, Non-Chlorine Sanitized, Indoors. Unfortunately we do not have the email address of this Swimming Pool, but we can provide you with the phone number. 1316 Toronto , Smithers , BC (Postal Code: V0J 2N0). This sports centre delivers 25 meters x 15 meters, 4 lanes, Non-Chlorine Sanitized, Indoors. Contact information for this Pool similar to phone number and email address are number. Updated on 2019 6260 Killarney St. , Fraserview , Vancouver , BC (Postal Code: V5S 2X6). This sports centre delivers 25 meters, 6 lanes, Non-Chlorine Sanitized, Indoors. Contact information and facts for this Swimming Pool such as phone number and email address are number. 4 Cunningham Road , Saint Albert , AB (Postal Code: T8N 2E9). Among all the activities offered by the centre, if you are considering swimming you'll take pleasure in 25 meters, 8 lanes, 1.5 meters depth, 1.5 meters depth, Salt Water, Non-Chlorine Sanitized, Indoors. If you will need to make contact with this Swimming Pool, email address and phone number are both number. Updated on 2019 39 Market St. S. , Dundas , ON (Postal Code: L8P 4Y5). Among all the activities supplied by the centre, for anyone who is considering swimming you will take pleasure in 25 meters x 13 meters, 6 lanes, Salt Water, Non-Chlorine Sanitized, Indoors. Just in case you want to make contact with this Pool just before dropping by, we only know the phone number. 315 8th Avenue S.W. , Southwest , Calgary , AB (Postal Code: T2P 4K1). Swimmers like you reported 25 meters, 4 lanes, Salt Water, Non-Chlorine Sanitized, Indoors. Unfortunately we do not have the email address of this Pool, but we can give you the phone number. 455 Broadway Street West , Yorkton , SK (Postal Code: S3N 2W3). This sports centre offers 25 meters x 15 meters, 6 lanes, Salt Water, Non-Chlorine Sanitized, Indoors. Contact details for this Swimming Pool just like phone number and email address are number. 2168 Philips Road , Sooke , BC . Swimmers like you reported 25 meters, 6 lanes, Salt Water, Non-Chlorine Sanitized, Indoors. Phone number and e-mail address are number for this Swimming Pool.